Of all the first round matches at this year’s US Open, this one between Andrea Petkovic and Caroline Garcia is giving me the most headaches in picking out a winner! 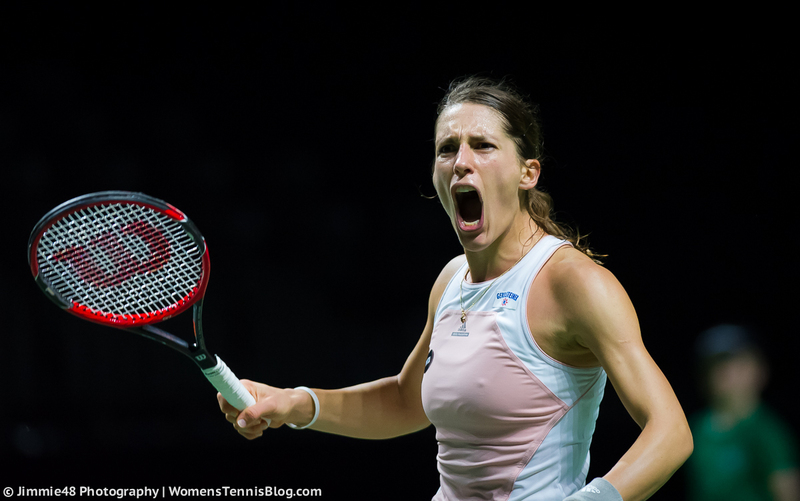 Petkovic reached the third round in Cincy; she beat Julia Goerges in straight sets, came from a set down against Camila Giorgi and then battled with Simona Halep for three sets, before losing out in the decider, 6-2. Petko appeared to injure her knee in the warm-up of her first match against Goerges and after exiting the tournament, was seen ending a practice with apparent knee trouble. There have been pictures of Petko practising in New York without any knee strapping but there does seem to be a small cloud of uncertainty surrounding her. Injuries have been with her all during her career although this year, they have been more niggly in nature. A stomach bug wiped her out during the clay court season just when she was beginning to play her best tennis. Garcia is best to watch behind a pillow these days. The Frenchwoman secured a promising pair of wins in both Cincy and New Haven, beating three top 30 players. However, both tournaments ended with one-sided losses. The most recent of those against Wozniacki in New Haven saw CarGar win just six points in the second set in a 6-3 6-0 loss. Rather quietly, Anna Karolina Schmiedlova is putting together an excellent year. The 20-year-old Slovak has won two titles on two different surfaces in Katowice and Bucharest, reached a final in Rio and secured eight top 50 wins. Schmiedlova had her best win of the year in Cincy last week, defeating Agnieszka Radwanska, 4-6 6-3 6-1 in the first round. Schmiedlova’s solid game, lifted by her impressive backhand, has seen her leap 41 places in the ranking since the end of 2014. 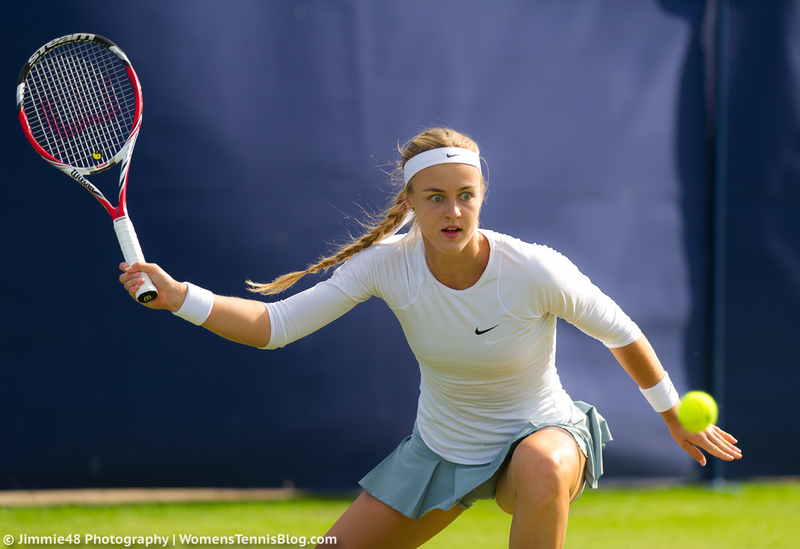 For a fun Q&A with Schmiedlova, check out this recent piece on the WTA Insider HERE. Schmiedlova is seeded at a Grand Slam for the first time in her career and takes on Julia Goerges in the first round. Goerges has peaked at the Slams this year, reaching the second week at both the Australian Open and the French Open. During the US Open series, Goerges qualified for both Toronto and Cincy, losing to top 20 players at both tournaments. Schmiedlova and Goerges have never played each other before on the WTA tour. Goerges’s recent form has been respectable, while Schmiedlova may feel the pressure being a seed. I’d still go for the young Slovak player’s consistency to prevail but i’d fancy this to be a tight match. I agree with both your predictions in both matches,Garcia has been most disappointing to me,unless there is a massive turnaround I cannot see her defeating Andrea. After watching their match in Eastbourne, it would be a surprise to me if Garcia had the patience to win this match. Garcia could beat Andrea. I hate when the draw put good players to play each other in the first round and allow low ranked players to get points and more money.